Barrington Orthopedic Specialists Providers Anubhav P. Jagadish, M.D. Dr. Anubhav P. Jagadish joined the ranks of healthcare providers at Barrington Orthopedic Specialists in 2015. Board-certified and fellowship-trained in spine care, Dr. Jagadish specializes in treating conditions and injuries afflicting the back, neck, and spine. He sees patients at the practice’s Schaumburg, Elk Grove Village, and Bartlett, Illinois, offices. In his practice, Dr. Jagadish’s approach to spine care and treatment focuses primarily on minimally invasive methods and early mobilization. His strategy yields improved patient outcomes and quicker recovery periods, which is a point of pride for him. 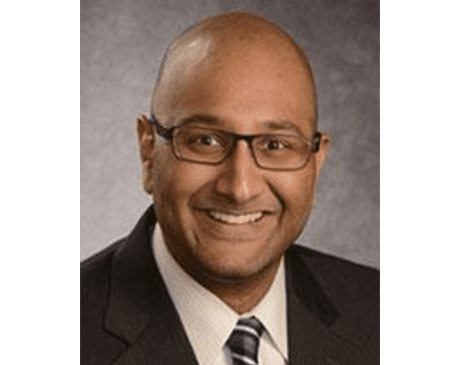 Dr. Jagadish earned his medical degree from Drexel University College of Medicine in Philadelphia before completing his residency in orthopedic surgery at Henry Ford Hospital in Detroit. Following his orthopedic surgery residency, Dr. Jagadish added to his repertoire, pursuing advanced fellowship training in spine surgery at the University of California San Diego. As a practitioner, Dr. Jagadish relishes seeing his patients return to and excel at the activities they enjoy after treatment. That rewarding feeling brings him immense joy. "A+ From the moment you enter the building the front office staff and how they perfect their jobs and they greet each person with warmth, knowledge and a smile; Dr. Jagadish takes his time to explain the diagnosis without rushing us, he asks how I am feeling from visit to visit IN SHORT – A Professional job is done by professional-caring people!" "Barrington Orthopedic Specialists was referred to me by my GP for back pain. Drs. Rabinowitz, Tashima, and Jagadish took great care to work out a plan to inform me about my condition and the option available to reduce my pain. Surgery was the last option and I choose to have Dr. Jagadish perform a microdiscectomy and laminotomy at L4/L5. He took time to explain the procedure and what to expect. I am now 17 day post op and recovering and progressing as anticipated. The Barrington Orthopedic Specialists doctors do a fantastic job to explain and reassure your thoughts on the procedures needed to be performed. Here's to more pain free days!" "Great experience the Doctor and his staff to really good care of my son and I will be back again for follow-up appts. I plan on taking my entire family there for any orthopedic issues." "My mother, Mildred, is his patient after she had a slip & fall & fractured her hip. I thought he was very thorough & compassionate throughout the entire experience. He explained the surgery process as well as the recovery process in layman's terms & patiently answered all questions. We feel grateful & confident in his care." "Both doctors are caring and compassionate. I feel very comfortable with each of them and know they have my best interest at heart. I feel they are honest with me and want to make sure I understand what is going on. I tend to ask a lot of questions and they never make me feel rushed or that I am not asking appropriate ones." Fellowship-trained in spine care, Dr. Anubhav P. Jagadish specializes in treating conditions and injuries afflicting the back, neck, and spine. He joined Barrington Orthopedic Specialists in March 2015. Read More About Dr. Jagadish in the News!